Her voice has been described as sultry, strong, emotional, and enchanting. Chicago native, vocalist and model Celeste Harrell, has been singing and modeling for as long as she can remember. Exposed to a variety of music at a very young age, Celeste learned to appreciate all genres of music and many styles of stage performance. As a toddler, Celeste modeled for Sears and local fashion shows. As a child, she played small parts in films and placed as a finalist in the Illinois Pre-Teen Pageant. With her award winning school orchestra, Celeste toured Illinois, Minnesota, and Canada playing violin. She continued to pursue modeling unassumingly as music and singing fascinated her and became her focus. Graduating from the Illinois Theatre of Acting and John Robert Powers Modeling School, Celeste immediately began her modeling and acting career with modeling for print and promotion jobs and acting in local plays. The small amount of modeling and acting took a back seat to musical vocal performance when she began her professional singing career providing backup vocals for her sister’s jazz band. She attended classes at Columbia College of Performing Arts in Chicago by day and performed for supper clubs and private engagements at night. Opportunity struck when Celeste was led to the front of the stage as a stand-in for another vocalist. Warmly accepted by the audience, she began her extensive music career as a lead singer. To date, Celeste has modeled for a myriad of companies working trade shows, representing companies for private events, and being photographed for print and catalog reproduction. She has performed in over 90 establishments - casinos, private/corporate parties, showcases, and a host of countless fundraisers including performance benefits for the March of Dimes, Easter Seals, Aids Research, and the televised local Hispanic Star Search in which her group won first place in their division for the performance of an original song. Her musical accomplishments include working with many bands and orchestras such as The Steve Edwards Orchestra and Chicago's Premier band, The Ralph Wilder Orchestra. Her former live band, aptly titled, The Rhythm Section, was invited to bring in the New Year five years in a row at Chicago lands’ largest riverboat casino, The Grand Victoria. These opportunities have allowed Celeste the freedom to delve into modeling while showcasing her chops at very selective engagements. 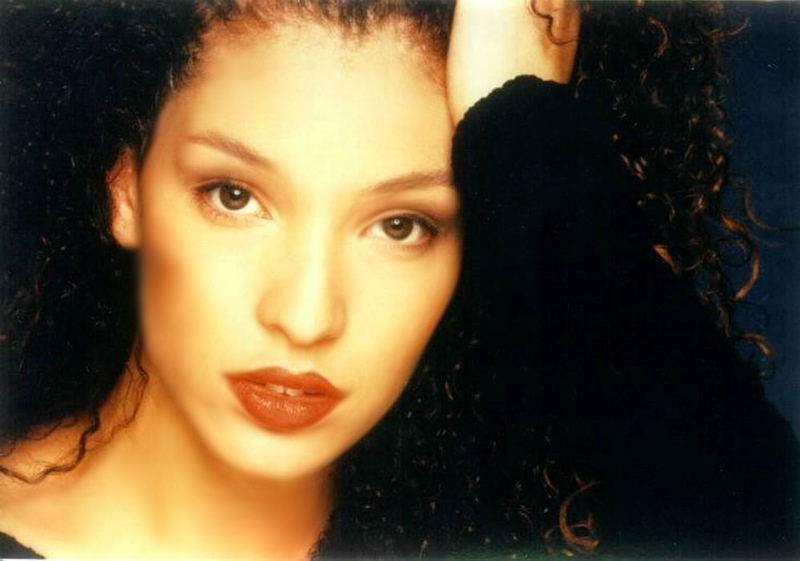 In 2001, Celeste completed a 3-yr project with Latin artist, Petra Luna - recording, touring & performing. A nationally released self-titled CD was produced on Novo Records and is now available at Best Buy and Tower Records. Celeste enjoys her love of the art of music admiring the fact that music brings diversity to life and bridges the gap connecting so many people. Life urges Celeste to have a voice. Her emotional style allows you to feel what she sings about as years of professional technique training coupled with her self-taught style bring passion to her performance and puts her in a class all her own. With many credits to her music career, she continues to captivate audiences everywhere. When asked if she plans to produce a CD in the near future, she says, "Undoubtedly!"